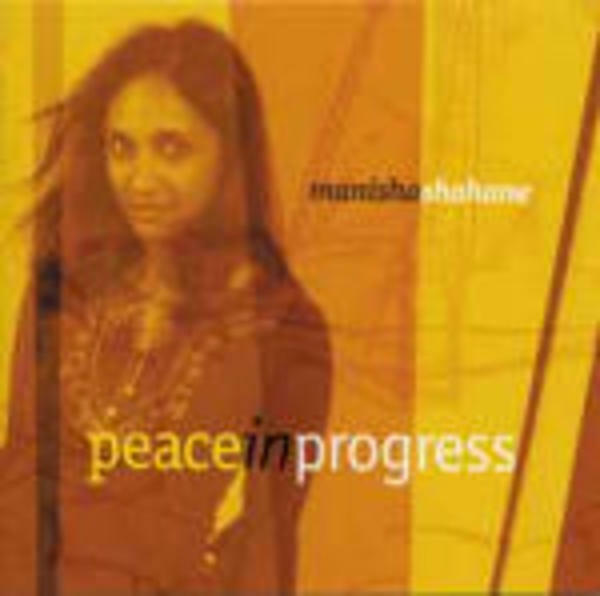 Peace in Progress is Manisha Shahane's first major CD release.The track Shyam Rao-chi Mulgee was selected for inclusion on the Feb 2006 LAIAM Compilation CD (Los Angeles Independent Artists of the Month). "...complex rhythms and well-constructed melody lines ... with unexpected harmonic twists and [a] flair for meaningful lyrics." -Northeast Performer, Feb. '03, LIVE REVIEW. "Her charming Marathi verses transport you to distant lands and a bygone era." "...an eclectic collection of introspective music that reaches out to many audiences." Produced, engineered and recorded by Notable Productions. Drums played by Dan Cantor.